Year 1994. A husband-wife duo. An impossible dream: to digitally map all 3,287,263 square kilometers of India. The result? A Delhi-based GPS navigation company called MapmyIndia. In 1993, after being un-banned in India, Coca-Cola acquired the Indian cola company Thumbs Up and found itself with a problem unfamiliar to companies accustomed to developed markets: very few accurate maps existed at that point. Thumbs Up had a vast network of bottlers, each with an assigned distribution territory, but nothing depicted the overlapping of boundaries of the territories (descriptions such as “along the river” substituted for maps). Not surprisingly though, Coca-Cola wasn’t the only multinational facing such a cartographical dilemma in India: for example, a joint venture of Essar and Cellular One was struggling to figure out where to place cell phone towers. This created an opportunity for Rakesh and Rashmi Verma, who had begun licensing US mapping software with an aim to enhance India’s map-making capabilities. They approached Coca-Cola, Cellular One, and other companies and obtained contracts to create digital maps that contained information that could aid these respective companies with business (bottlers’ territories) or topographic features (high ground suitable for cell towers). They received advance payments from the companies, which enabled them to make high-quality maps that they could later modify and sell to other clients, including the Indian Defense Department. This was the first step for a company that was looking to create a digital repository of geographical data that would change the way companies function. During the 2000s, MapmyIndia began producing online maps and it eventually migrated into consumer navigation devices, fleet-tracking solutions for taxi and trucking companies, and mobile apps. Today, the company claims to be India’s most comprehensive GPS navigation & tracking solutions provider, engaging the user on multiple platforms. Currently, the company offers an entire API stack, IOT devices, a map app, and has the guts to compete with the global giant Google. It has mapped over 10.54 Mn unique destinations (Points of Interests), expanded coverage of over 2 Mn kilometres of road network, 7068 cities at street level with house address level data for 80 cities, 6 Lakh villages, and 3D & 2D landmarks in 86 cities. Here’s how it does all of this and more. Quitting their cushy jobs in the US, Rakesh and Rashmi Verma were passionate to start something in their home country. After coming back, they realised that the geographical maps repository of India had not been updated since the Colonial times, in 1931. Realising a solid opportunity and need, they approached the government for data. When the approach did not work, due to bureaucratic inconsistencies in the process, the Vermas zeroed in on a pain point and a unique business opportunity. They were determined to do something for the country and thus, decided to make it their life’s work to build a first-of-its-kind digital map database of India – an asset for the country. It was a herculean task, because of India’s vast and varied geographical and topographical diversities. Realising this, they took a very practical approach. They decided to build the database: Top Down and Bottoms Up. Top down: whatever paper maps were available, they traced them digitally using tablets and other IT and electronic devices. This allowed them to zoom in and out on various attributes of data. Bottoms up meant actually going and surveying different parts of the country. The duo put together a team, who practically walked down the streets and bylanes of the country and conducted physical field surveys. 25 years of research, a team of more than 400 surveyors, post-physical and satellite surveys and the company now has a repository of more than 2 Cr data points, including 3D data visualisations, telematics, and navigation systems under its belt. All this via a customer-funded business model. Their journey began with Coca Cola coming onboard as an enterprise customer. Later on, they counted players like Marico, Hindustan Unilever, and the Indian Defence services as their eneterprise customers. The number of enterprise customers for MapmyIndia grew to 500 by the early 2000s. Let’s simplify and explain this via an example. It’s very similar to the process that goes into making an Aadhaar and, and at the same time, is very different. When getting an Aadhaar ID, an individual goes to an enrollment centre and the government officials collect 100 attributes. 80% of them belong to an individual’s physical features, and the rest is done by the data manually provided. They professionally map people as individuals with unique identities. MapmyIndia has done something very similar by sending 400+ surveyors in the field. Over the last 25 years, where they went and collected hundreds of attributes about every location. The collected attributes include building footprints, doorsteps, floor number, flat number, photographs, types of buildings etc, among other things. It is via this information, that the company has created a data repository, a digital map of the country of inter-connected information with all those geographical markers and coordinates. It has also entered into more than 100 strategic partnerships with tech and marketing companies, to facilitate the process of data collation faster. In terms of verticals, MapmyIndia addresses four key markets — direct consumers (through free and paid app/maps), automotive (40% of revenue), mobile Internet (20%), and enterprises and government (40% of revenue). 1998 saw satellite imagery becoming available in the country. This led to a lot of productivity enhancement for the company. Collecting data became way easier and the entire process was accelerated heaps. That’s what enabled the company to launch MapMyIndia’s website in 2004 – claimed to be the first interactive mapping portal of India. Within months, as reported by the company, it was getting 5,000-6,000 unique visitors a day. The year also marked the entry of the prodigal son, Rohan Verma, a Stanford engineering graduate and presently the CTO of MapMyIndia. He built the portal where anybody could access these maps for free. After three years, the company launched a pan-India GPS navigation device in 2007, called MapMyIndia navigator. This was different from the web portal, because now users had a device in their cars that they could just follow to reach their desired destination. It offered turn-by-turn assistance in real-time, to the destination. This move led the company to capture a vast amount of the automotive market share. Car companies started offering the company’s GPS device as an add-on, an additional accessory. They started offering a touch screen navigation system built into the car. Marquee customers like Ford, General Motors, Mahindra, and BMW were some of the first few major customers for this touch screen navigation system launched by the company. The car companies licensed the navigation applications from MapmyIndia for an undisclosed fee. Companies like MagicBricks, MakeMyTrip, Hyundai, and Honda joined the list of MapMyIndia’s customers for their navigation device. It further started providing location-based services and navigation solutions to telecom companies like MTNL, Blackberry etc. The startup raised funding in 2007 from Sid Talwar’s Lightbox Ventures. Lightbox’s funding in MapmyIndia was followed by another $30 Mn being poured in over the next four rounds, over 12 years by Nexus Venture Partners, Qualcomm Ventures and Zenrin, a Japanese firm engaged in the production and sale of map databases. Flipkart also has a stake in the company. The company at the moment has divulged into an entire gamut of services. It has a complete MapMyIndia API stack. It aids developers who are looking to build interesting apps powered by a geo-locational element, so the stack is employed there – for example, companies like OLX, Flipkart, Maps for blind and handicapped, smart parking systems. It offers navigation functionality, tracking and telematics, and location-based analytics. The company now has 5,000 enterprise customers. It also claims to have captured 80% market share in revenue in the location intelligence space. It has more than 2,000 customers on its SaaS platforms, which is used for fleet management, location analytics, etc. among other things. Other smaller players that it faces competition in the IoT-powered GPS devices include Asset Tracker, TrakNTell and CaRPM. HyperTrack which had been in private beta since February 2016 also launched in June 2016. Inc42 reported just today that HyperTrack received Series A funding from the Founders Fund too. In 2006, Google became popular in India. And, hence, MapMyIndia came face to face with their biggest competitor: the global tech giant Google. The company claims to not at all being like Google Maps. It has almost consciously tried to not become that. Rohan gives four major areas where it’s beating the global company: accuracy, availability, the amount of comprehensive information they provide and their target audience of businesses and enterprises. Google Maps is an app that allows users to visualise data, on the other hand, the data provided by MapMyIndia allows users to analyse the geo-demographic data. Furthermore, the latter also claims to offer customised and deliver bespoke solutions. For eg, for someone looking to open a restaurant, MapmyIndia will tell them about the population density, the expected monetary capabilities of people residing in the nearby areas, a 3D visualisation of roads, and parking spaces, among other things. It has seen a 40% y-o-y growth for the past decade. The expected turnover for FY 2017-18 is pegged at $30 Mn (INR 200 Cr). The company is targeting to achieve a turnover of $155 Mn (INR 1,000 Cr) with 30% PAT ( (Profit After Tax) in the next five years or so. MapMyIndia has presented eLoc (electronic location) as the country’s key to digital addresses. eLoc by MapmyIndia is, simply put, the Aadhaar of addresses. The eLoc of any place, be it a building/flat/office/business/city/village/locality/road and so on, is a short, 6-character code (for e.g. 8GDTYX, or MMI000), which is easy to remember, share, type, and provide. eLoc claims to provide a comprehensive, accurate, and precise door-step level, 3D digital map database and turn-by-turn navigation solution. Hence, the power of eLoc is such that when a person, business or official searches for a place by entering the code, they can see the precise map location of that place, get turn-by-turn directions to the exact entrance doorstep, and also see information about that place besides its location, such as reviews, photos and other information provided by the place’s owner, businesses, and governments. eLoc will potentially help various industries in India including logistics, cab aggregators and ecommerce, which collectively form a major portion of the country’s evolving digital sector. Personalisation and localisation are the two major factors that MapMyIndia aims to provide efficiency to, via using the new eLoc feature. As of now, nearly 2 Cr points have been mapped under the same. With a team of more than 600 people which includes 400 surveyors, MapMyIndia updates its digital database every quarter. It takes into account the feedback of enterprise customers, individual users, on ground staff, and its own surveyors as well. CBDT – It enables in the expansion of India’s taxpayer base by mapping out transactions on a digital map, and hence gives a more accurate assessment of income using the location component. The locational element here is linked to a PAN card, that helps identify where they (the taxpayers) are located. MapmyIndia is further powering the SBI Finder App. The app helps locate ATMs, cash PoS, cash petrol pump, nearest branch etc.Amazon Prime to name a few ecommerce clients. Furthermore, it also offers dependable people-tracking and vehicle tracking solutions. For e.g., MapmyIndia Safemate is a small-sized IoT device with an extended battery life that can be used as a personal safety device for women and children. Another offering, DriveMate – is a universally compatible (across all brands of cars manufactured in the past 15 years), plug and play, GPS-based, vehicle-tracking IoT device. The product offers accurate real-time information on vehicles viz. location, speed, battery condition, engine (idling or killed), route violations etc. MapmyIndia is also playing a key role in developing smart cities and Swacch Bharat initiatives. The company recently implemented India’s first GPS Guided Biometric System for the staff and Safaai Karmchaaris of the Ambala Municipal Corporation. In April this year, MapmyIndia announced the acquisition of Bengaluru-based pioneer in VideoMaps, VIDTEQ, which allows a user to view a video clip of the complete route from any source to any destination within a city. Rohan and everyone in his company believe in being crazy enough to dream the impossible and then do it. As to what their future plans are, he takes a moment and says, “The core of the company is that we build maps. When my parents started it, they had a vision that 80% of all the data available in India will have a locational element to it. The result is what you see today. The vision we now have can sound audacious, and ridiculous, but if we can model the real world digitally so that we can simulate how that reality works, it would accelerate our decision-making power by multi folds. 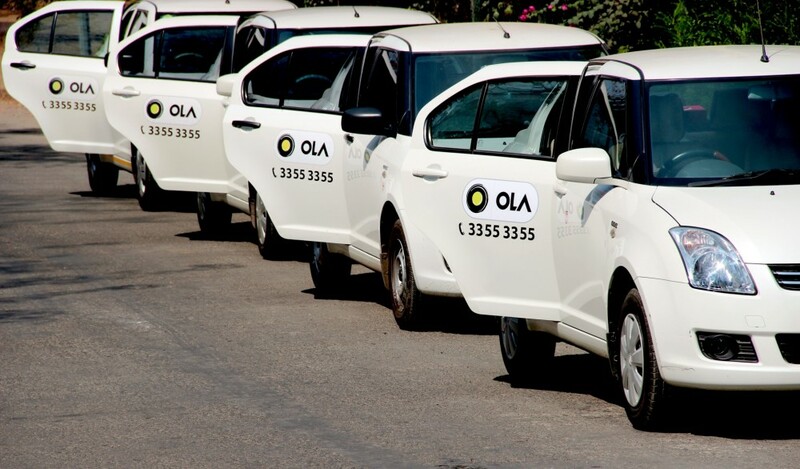 The company has also become an integral part of the ride-hailing ecosystem too, working with Ola Cabs, Uber, and Avis Car Rental. “From the delivery perspective, without good locations, elements, good-quality maps and a strong database at the building level, no mobile Internet company will succeed,” says Verma. Maps are becoming increasingly critical for both businesses and individuals. The Indian location-based services (LBS) market was hardly worth $7.7 Mn (INR 50 Cr) about seven years ago. Contrast that with today, when it is estimated to be a $310 Mn (INR 2,000 Cr) market. Players such as Google, Tele Atlas, Nokia, Binge and TomTom are the companies that are the key drivers and are constantly investing to keep the mapmaking business updated. Among them, whoever has the right delivery model will succeed. At the end of the day, just like any other businesses, cartography too is being disrupted by new technologies. As navigation devices lose their physical contours and emerge in an embedded avatar, MapmyIndia will have to keep looking at alternative routes to reach its final destination.